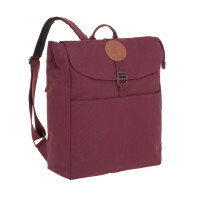 The Diaper Backpack Adventure Burgundy is the ideal companion for active parents. An extensive range of accessories and a well thought-out layout make it a discreet diaper backpack. Timeless, versatile, made for daily use. Product information "Adventure Backpack Diaper Bag, Burgundy"
description & equipment Timeless, versatile, made for daily use. 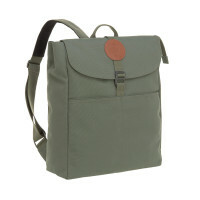 The Green Label Backpack Adventure is the ideal companion for active parents who prefer thing to be reserved. 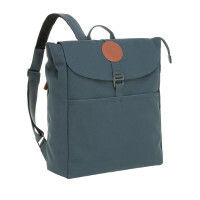 The plain diaper backpack in the trendy canvas look convinces with its appearance and functionality. It has a large zipped main compartment, two pockets on the front and a water-repellent wet pouch on the outside of the reverse side. Numerous practical internal compartments including an integrated cell phone pouch. Practical accessories such as a water-repellent changing mat, a utensils pouch, removable, insulated bottle and jar holders and stroller attachments, complete the profile of a sophisticated, well thought-out, diaper backpack that is ready for the adventures of daily life. Convenient and comfortable carrying options are created with the padded, adjustable shoulder straps and a practical wrist strap. This diaper backpack also scores in terms of sustainability. The backpack’s outer material is 89% recycled polyester Cyclepet® which is made from recycled plastic bottles.